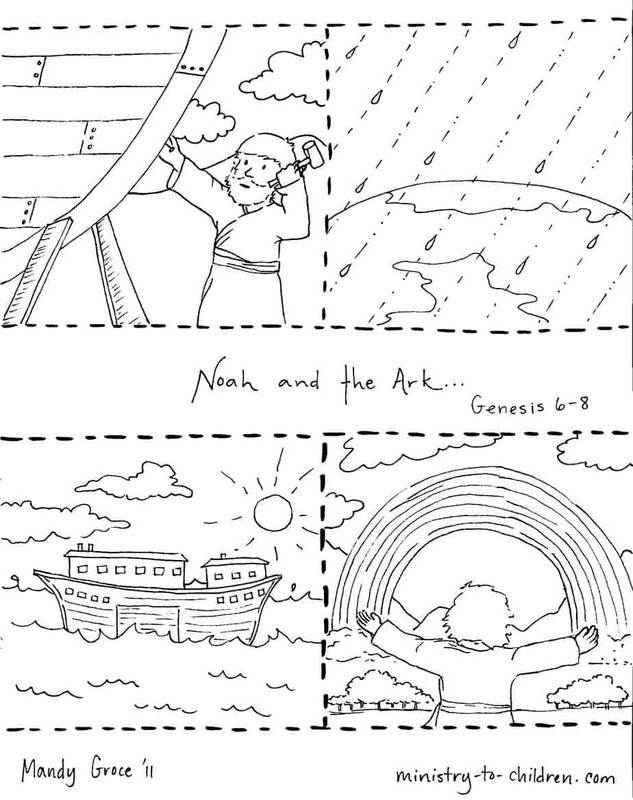 These sequenced Bible coloring pages will help kids learn the story of Noah and the Ark. The main page has four panels that picture the major events from Genesis 6 – 8. 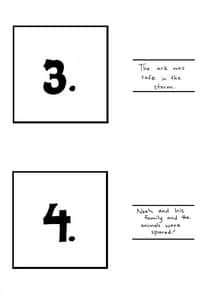 Directions: The children should color the first page, cut out these story sections, and then glue them to the numbered sheets below. 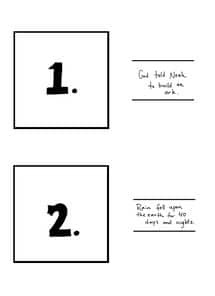 We suggest printing the numbered pages on a light blue paper if available. This will give the finished project an attractive framed appearance. You can choose your download format above. The PDF document is ready to print, but the jpeg allows advanced users to customize the sheets. 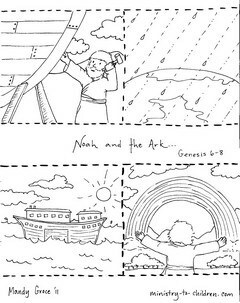 If you are teaching Sunday School, you can also use this project as visual illustrations for your Noah and the Ark lesson. Click here to leave a comment about this free resource. THANK YOU SOOO MUCH!!! 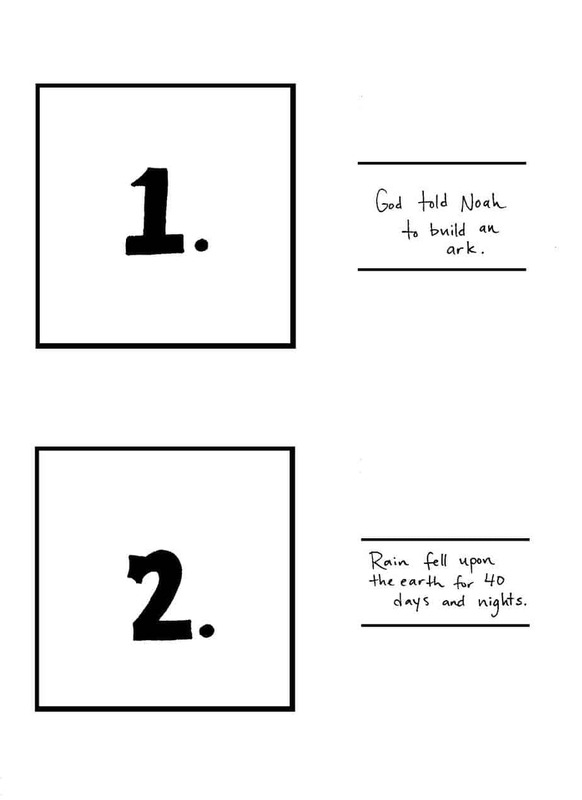 our kids love your printables. all of your curriculum helps our teachers be prepared for our kiddos. Thank you so much. 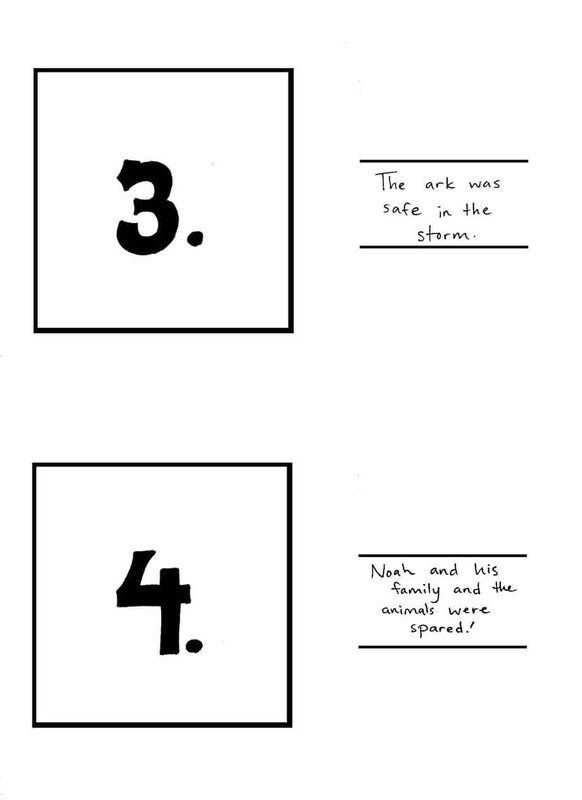 Our sunday school children love your printable bible stories. Tony Kummer (Editor) reviewed & updated this page on : August 1, 2011 at 9:24 am. All our content is peer reviewed by our readers, simply leave a comment on any post suggest an update.